Sparkly Mannequin in Yellow, a photo by Stimpdawg on Flickr. I saw this cool sparkly mannequin in Ibiza, Spain and HAD to take a picture!! Really Sparkling. Nice shot too. 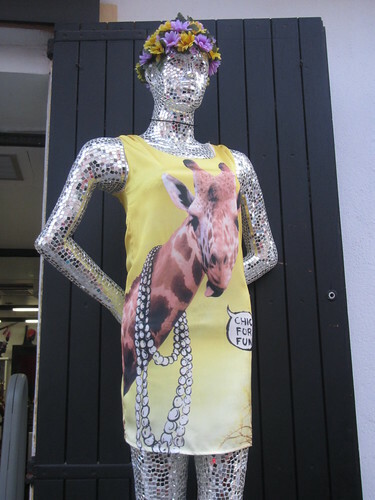 A most unusual, eye-catching mannequin! Great find!